Bridal elegance in an authentic Japanese setting - a traditional wedding ceremony in Kyoto at one of the city’s beautifully tranquil shrines and temples is an unforgettable experience. Kyoto is the ancient capital of Japan and a treasure house of culture. Home to a vast array of refined artistic traditions, such as silk kimono weaving and the tea ceremony, Kyoto has more than 2000 Shinto shrines and Buddhist temples. The city offers a stylish fusion of this rich historical heritage in sophisticated contemporary settings. 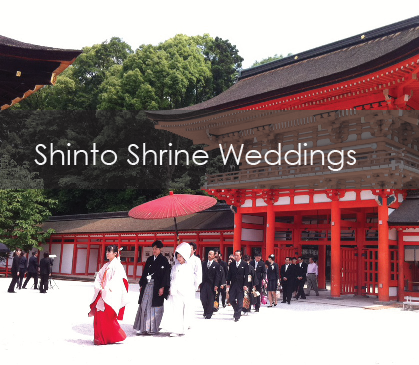 Here is a list of some common ceremonies available in Kyoto. Please feel free to consult with us on custom arranged ceremonies and events.